Is the Best Place for Your Savings in an ISA? For the 2012-13 year beginning 6th April, you can invest up to £5,640 or half of your total amount in a cash ISA. You won’t have to pay any tax on the interest you earn on your ISA accounts. Whatever interest rate you secure for your funds, those taxed at the basic rate will avoid paying a 20 percent tax on that interest. Those who pay taxes at the higher rate realise a savings of 40 percent on their interest earnings. • If you ever withdraw cash from your ISA, you will not be permitted to deposit funds for the remainder of the tax year ending 5th April. Also, you will pay a penalty for your withdrawal. • ISA accounts offer interest paid at both fixed and varying rates. The interest on standard cash ISAs most likely will fluctuate throughout the year, so it’s important to keep track and be certain your interest earning rate hasn’t dropped to a non-competitive rate. If this does happen to you, then you can switch your savings to another ISA provider, but not until the new tax year begins. • You can also look for ISA providers that guarantee to pay a specific interest rate for a given period of time, usually six months to three years, but you can never make withdrawals for any reason, even if you pay the penalty. • You can only pay cash into one ISA per year. However, you can transfer some or all of your cash from older cash ISAs into new ISAs in order to earn a higher interest rate. Such a transaction might occur, for example, if last year’s ISA provider cuts his interest rate and you want to take advantage of a better rate elsewhere. Check with your original ISA provider to see if you are incurring any penalties by moving money, as might happen with a fixed-rate ISA. The cash must go from fund to fund; you cannot carry it across town, and the transfer must be effected within 15 days. Also, while you can transfer cash into a stocks and shares ISA, you cannot transfer stocks and shares into a cash ISA. interest earned back to the government. Some people choose those because they like to withdraw their money whenever necessary, and they say that if they have only £1,000 they won’t earn much interest anyway. But the steps to open a savings account are the same for both a regular account and a cash ISA, so why not take a chance on the cash ISA? • Some cash ISA providers accept cash from investors and put it into money market funds, which normally pay at a higher interest rate; but you will pay a management fee for such accounts. 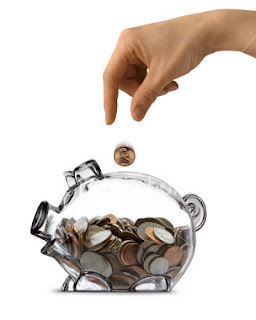 It’s always important whenever you open any kind of savings account to find out what all your fees will be. Besides the money you put into a cash ISA, you are permitted to invest the remainder of £11,280 into an ISA devoted to shares, bonds or similar funds. For example, if you put £2,000 into a cash ISA, you can invest the remaining £9,280 into ISA investments. Keep in mind that if you have any types of interest-producing investments, you can move them into the shelter of the ISA investment fund so that you are protected, as long as you don’t exceed the total allowable £11,280 contribution. 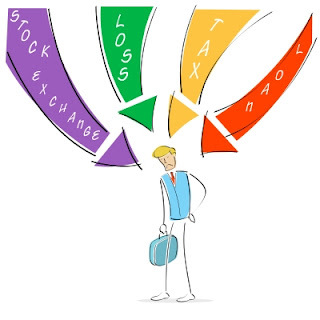 • If you invest your money into an ISA dedicated to stocks or shares, neither your interest nor your dividends will be taxable. affecting your limit on the current year’s contributions. As stated above, you cannot transfer value from stocks and shares ISAs into a cash ISA. • If you have a stocks and shares ISA from a prior year, you can move other investments into it as long as no cash is contributed. This would benefit someone who had an active account from a prior year with a higher interest rate than what is currently offered. • People who have a longer time until retirement prefer the higher interest rates payable through most stocks and shares ISA. Keep in mind that the higher rates come attached to higher risk, and so stocks and shares ISAs generally work better for long-term investment periods. 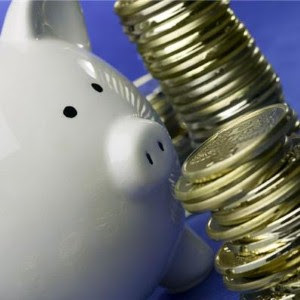 Anyone 16 years or older can open up a cash ISA fund, but only those 18 years or more can open a stocks and shares ISA. Keep in mind that Junior ISAs offer savings programs for children under age 18 as long as they do not already hold a Child Trust Fund (CTF) account. The contribution cannot exceed £3,600, and cash withdrawals generally are prohibited. Why not get everyone in the family started on the path to savings, right now? Rosie writes on behalf of a number of businesses throughout Devon and Cornwall including Drummond LLP. Drummond provide payroll in Plymouth as well as bookkeeping and other accountancy services. Whether you are an aspiring first time home buyer or not, it is easy to get caught up in the thrill of the hunt and consequently make a few bad choices. To keep your next real estate transaction worry-free, here are three simple suggestions for avoiding common pitfalls that often besiege home buyers. Before you peruse real estate listings, take the necessary steps to get preapproved for a mortgage. Check your credit report and work to clear up any errors that might be reported. 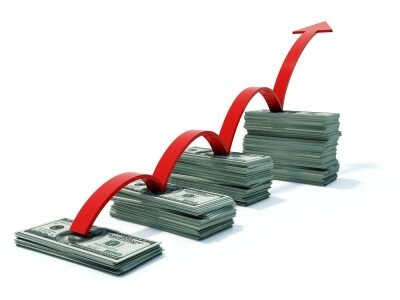 Pay all bills on time and pay down debt if needed to improve your credit score over time. Get your financial ducks in a row, such as gathering W-2 forms, pay stubs, and bank statements. Be aware that prospective home buyers who are preapproved for a mortgage also stand a better chance of having their offer carefully considered by sellers. When you are preapproved it is much less likely that the sale could be derailed due to an issue obtaining financing for the purchase. In addition to getting preapproved before you house hunt, future home buyers should also conduct a realistic budget analysis. Get familiar with the long list of costs that a real estate transaction requires, such as taxes, insurance, and closing costs. Next, review your monthly household expenditures. How about the mortgage principal, moving expenses, an emergency fund, furniture, tools, or HOA fees? When that’s all taken care of, will you have something left over for utilities, gas, groceries, and savings? You have heard it before, and it is so true, “a home purchase is likely the largest single purchase you’ll ever make.” That’s why it is of utmost importance to take your time and proceed with caution. Choose your real estate agent and mortgage lender very carefully. Get references, conduct interviews, and make sure that you feel completely comfortable with these individuals. Ideally, your agent and lender should have only your best interests in mind, be good listeners, provide you with constructive input, and sound advice. If you ever feel like they do not grasp your situation or what you are looking for, find real estate and mortgage professionals that do. 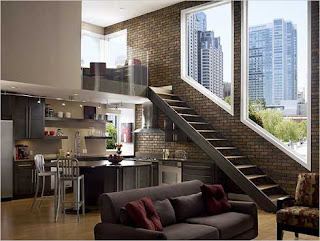 When it comes to your dream home, don’t be blinded by love. Pay attention to the inspection report and then thoroughly investigate the neighborhood, traffic flow, and ask yourself if this home will be conducive to your lifestyle in terms of proximity to things that are important such as work, school, retail, recreational, cultural, and entertainment venues. 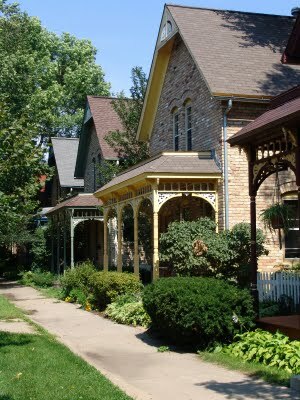 Finally, consider the home’s resale value. Although it may be “the one” right now, things change and you may want or need to move on in several years. Consider how difficult it may be to find a buyer when you are ready to move on to a new home. Being priced considerably higher than other homes in the area, having a very unusual floor plan, or an extremely dated design are all aspects of a property that could negatively impact resale. The following is a guest post from Lisa Andree with the home financing blog, Mortgage-Rate-Review. She covers trends in real estate, mortgages, and USDA mortgage financing. many of them are overlooking some of the easiest things that they can do to reduce their tax burden. Below are three tips that everyone can implement immediately that will drastically reduce a tax burden. you have a legitimate profit motive, the expenses from any business that you start can provide quite a sizable tax haven for you. industry to industry. However, from this you will be able to deduct all of the supplies and the other expenditures that you have. loopholes in your own expenditures can give you the leverage that you need to maximize your own tax havens. Simply knowing exactly what tax bracket your income puts you in gives you the leverage to ask for larger deductions. Keep up with all of your side income producing activities. In order to make that money, you will have had to expend some sort of resource. These resources can be deducted. Being organized will also help you a great deal of leverage if you should be audited randomly. Agents will be much more likely to believe your deductions if they are written down and organized as if you took the process seriously. There are always new deductions that you can take advantage of from year to year. Do not wait until the last minute to figure out the new rules. If you keep up with the tax news as it happens throughout the year, you can begin to organize your finances in a way that gives you the ability to take advantage of the year to year changes. There are also many politically based changes that are taking place in the tax code as this article is being written. In the wake of the Great Recession, many concessions are being given to the average taxpayer that are usually not given. Depending on your personal finances, you may be able to take advantage of many government sponsored tax havens that will only be available for a few years. Author Bio : Ari is one of the leading tax experts in Australia. He is the most respected accountant North Sydney has to offer, and as a result, Ari’s services are always in high demand. When he is not busy with his work, Ari likes to spend time with his family and keeping fit by going to the gym and mountain biking. With the economy seeing so many people struggling to make ends meet, it is quite common that people are relying heavily on credit cards and loans to keep up with bills and the rising prices of utilities, groceries, etc. While this may fix the problem, unfortunately it can also end up leading to someone owing quite a bit of money that can quickly become hard to handle. Going back to school to earn a business degree may help find a position or even start your own business, but with jobs so few and far between and business folding each day, there is no guarantee that it will help. Business Schools can help connect you with accredited business programs. Some may consider bankruptcy as a way to erase this debt. However, it can mess up your credit and make it difficult to get back in good financial standing. A great way to help make your monthly payments manageable is to consider consolidating your credit card debt. 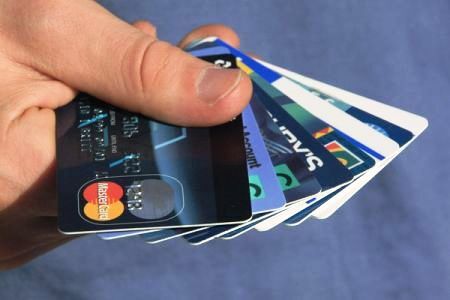 When you consolidate your credit card debt you are taking the balance from each card, putting it together, and creating one monthly payment that people usually find much easier to handle. There are several ways to consolidate your credit card debt. The option you choose depends on your personal preference. One of the most utilized options is that of the personal debt consolidation loan. A popular loan choice is a home equity loan. When you take out a home equity loan you are borrowing money against what your house is worth. This basically means that you are using your house as collateral. Speaking of using your home, if rates are lowering than they were when you purchased the home, you can utilize what is referred to as a cash-out refinance, meaning you can refinance your mortgage loan and receive a portion of the value to use towards your bill. If you are uncomfortable using your home as collateral for your loan, you can speak to someone at your credit union or bank about getting a personal loan. If you plan to utilize a personal loan from your financial institution it is important that the interest rate offered is less than what you are currently paying on your debts or you can actually end up paying more that you already do. Borrowing money from your current bank accounts, stocks, or retirement funds. Borrow money from a friend or family member. Transfer your balance to a new credit card with a lower interest rate. Contact a company that specializes in debt consolidation to see what options are available for you. You may even decide that earning your MBA in order to further yourself in the business world and earn more money to naturally pay off your debt is the best choice. Valerie Mack is a financial guru with experience in personal finance and savings. She has partnered with Article Writing Services to bring sites, like Business Schools, quality financial content. You can see more of her work at Online MBA.com. Did you know that you are giving away money every single day? You are almost always tossing money out the window and you probably do not even realize it. Practically everyone is guilty of this habit, but with these seven tips and a bit of finger pointing, you can kick that bad habit out the door and start pocketing money for you and your family. You may not think you are spending as much as you do...but it is the little things that add up quickly. Food is a major expense. Your body must have food in order to live, so you go to the grocery store. Howeverm you can save TONS ofmoney by clipping coupons. You can also do so by hitting special sales. But the best tip - do not buy what you are not going to eat. If you buy a bunch of bananas (let's say 9 come in the bunch) on sale but only eat 3 before the rest spoil...you have thrown money away. If a recipe calls for an obscure ingredient you do not typically have on hand, but you buy it anyway, chances are pretty high you are going to throw the rest away after it has spoiled. You will save more money by simply not buying more than you will use, than by using every single coupon you run across. Gym memberships come with the best of intentions. However, most people do not use the gym as often as should to make it worth the price. A $50 membership could be a great deal or huge ripoff, depending on your habits. The solution is simple and right in front of you. If you want to be fit and healthy then exercise or walk at home or outdoors. With Youtube, a public library and a sidewalk in front of you, the sky's the limit! Banks have to charge money in order to make money. If you must have cash on hand, plan ahead and take out what you need at one time. It is better to pay one single ATM fee each week, versus multiple transaction fees. Always carry a credit card with you, in case of an emergency. But you do not necessarily need to carry your debit card with you. How about leaving it hidden in your car? Having to forge for it will likely stop you from being tempted to swing through a fast food restaurant for a quick snack. It will stop that $3.50 coffee purchase. If you have to become accountable for every purchase, you will stop spending needlessly. This is easy. Switch to rechargeable batteries. You will save more in the long term and it is better for the environment. The same can be said for CFL bulbs. You'll save on both bulbs and energy bills, and you won't have to buy another bulb for a year. Razor blades are astronomically expensive and the damage they do to your skin is horrendous. Cut costs by switching to a rechargeable shaver. It may cost more initially, but you will save money over time in shaving cream and razors! The Internet is your friend and you can save the most money on this every single day by just following a couple steps. If you need to purchase a large item, research it and shop around. Instead of dialing 411 from your cell phone, use the Internet to search for free. Sign up at websites for discounts or join forums for tips and suggestions. Johnny Jorgenstern likes to save money, write & visit www.termlifeinsurance.org. When you hire a solicitor to help you with your legal case, you will need to have a discussion with them about what the fees will be for their services. If you are knowledgeable about the types of fee arrangements this can help you deal with this aspect of hiring a solicitor. The services of a solicitor can be expensive, but these days there are many different billing arrangements such as flat fees and “no win no fee” clauses. If you are hiring a solicitor to help you with your case, be honest and fair with them and negotiate a fee that you can live with. Billable hours are how most lawyers keep track of their time and bill their clients. They will record how much time it took them to do a particular task and bill you in fractions of an hour, usually 15 minute increments. Ask your lawyer if they mind billing you in tenths of an hour or 6 minute segments instead. This can help you save a little bit of money because the billing will be more accurate. For example, if they spent 12 minutes doing something they might round it up to 15 if they are billing by the quarter hour. When you first discuss fees with your lawyer, they will offer you an hourly rate. However, if your case is very simple and will not require a lot of complex work you might be able to negotiate a lower hourly rate. Many law firms will actually have different rates depending on the complexity of a particular legal case. You might be able to save a bit of money if you propose that your solicitor works on a flat fee rather than an hourly rate. You can pay a set amount for their services throughout the case rather than paying them by the hour. 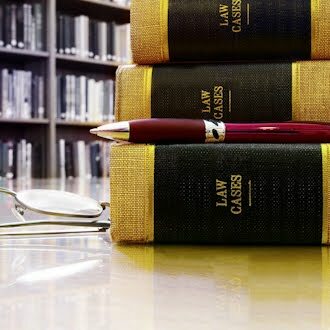 This can work out to be cheaper and can also motivate your lawyer to use their time efficiently. It can also help you budget for your legal expenses because you know the maximum amount that you will be responsible for. This is another billing arrangement that you could negotiate with your solicitor. With a contingency fee, if you win your lawyer will get a percentage of your winnings. If you lose, you will not have to pay anything. This is also known as a “no win no fee” arrangement and it can help you if you cannot afford lawyer’s fees otherwise. It can also inspire your lawyer to work as hard as they can on your case because their earnings depend on winning. When negotiating fees with your lawyer, be confident and knowledgeable so that you can propose a fee arrangement that works for everyone involved. Before starting your search, write down a list of the most important attributes your roommate should have. In another column, place characteristics that are absolute deal breakers. This list will help you narrow down your search and help find the most suitable applicant during the interview process. Ask family and friends that you know and trust if anyone would be interested in moving in together. You already know the traits and personalities of your loved ones and would be able to determine if they are a suitable match. You can advertise for a roommate in the newspaper, online or by posting flyers. Be sure to include information like the cost of the rent per month, the apartment location, contact information and any other specifics. Before you begin interviewing prospective roommates, prepare a thorough list of questions to ask the applicants. Do they have steady income? Will they be having frequent visitors over? Can they show you their credit history? Begin the interview process by chatting with the potential applicants over the phone. If you like what you hear and they seem like they could be a responsible roommate, schedule a meeting face-to-face. It’s important to thoroughly check an applicant out before inviting them over to your apartment. Start off with a meeting at a neutral location like a coffee house. Have them bring over pertinent paperwork that includes credit history and references. Discuss how utilities, food and other expenses will be handled. Once you have thoroughly researched them and you can see this person as your roommate, set up a meeting at your apartment to show them around. When you’ve found the perfect applicant that has met all your qualifications, have a written agreement drawn up and signed by both parties. Make sure to list the exact costs each party will be responsible for. Include any additional specific information like move in date, when the contract will expire, if pets are allowed and if the apartment sustains any damages, who would be the responsible party. Visit the California Apartments Blog to get more roommate and apartment living tips as well as new apartment reviews including these Long Beach lofts and these Cupertino, CA apartments for rent. The 200 day moving averages are indicators which help in technical analysis using average values of security prices over a specific period of 200 days. These averages are used in measuring the momentum of the market and to define the areas of potential support and resistance. Moving averages are based on past prices and not the current ones; this is why they are lagging. Moving average does not predict the future of prices but simply defines the existing smooth prices. These indicators are the building blocks of the principles applied by other indicators as well. Characteristically, when a short term average becomes higher than a long term average an upward momentum is confirmed. Similarly when the short term average drops below the long term average a downward momentum is confirmed. ii) MACD indicator: in this case all a trader needs to do is to check if the trigger lines are above or below the zero line/ centerline. If the 2 lines are above the zero line, it is an uptrend, and if it is below, then it is a down trend. From these graphs it can be observed that when the slope is less steep, it is the trending and quiet market. When the slope is steeper, it is the trending and volatile market. It provides entry signals for traders. When prices rise up traders can enter for the long trade. Similarly if the price moves below the average, the traders can go for the short trades. Likewise traders in the long trade can exit when the prices move below the average and enter when the prices are above the average. Application in leveraged ETF's is also a use of this indicator. It helps traders by guiding them on how to keep their trading toward the right side of the market for both stocks and ETFs. Therefore to conclude, this indicator is one of the best and easiest one to use, and has also been recommended by Forex. The 200 day moving average system is one of the best trading indicators according to most traders. This is not just because it is easy to use and understand but also because of its flexibility in trading.